He said just last week that baby number two would be a game changer but the future King of England has changed the game all by himself this week. 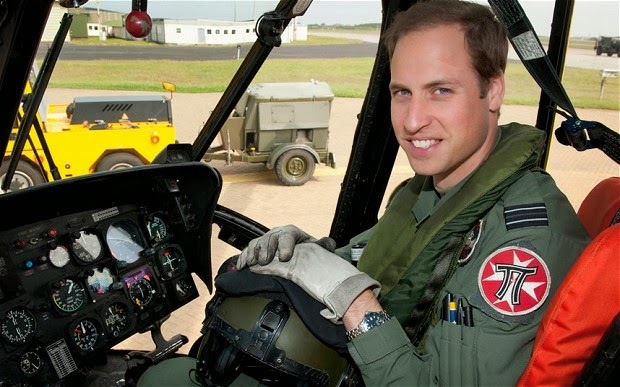 Prince William, Duke of Cambridge has started his training to be a pilot for the East Anglian Air Ambulance Service in the last few days - the soon to be dad of two and monarch in waiting is now working in a field he loves again. Kensington Palace confirmed that the prince is now undertaking specific job training for his new role with the service - he is expected to start work in the summer. The royal pilot recently clocked up major success in the exams required for his new role - he passed all 14 tests, probably for the best as resits with a new baby in the house might be hard work. There was a baby bump clad in pink, a queen in waiting meeting a famous female president and a future consort taking the lead at a big charity event. It was all about the royal women of Europe this week and the official social media accounts of the ruling houses reflected that. Here's the royal week on social media. 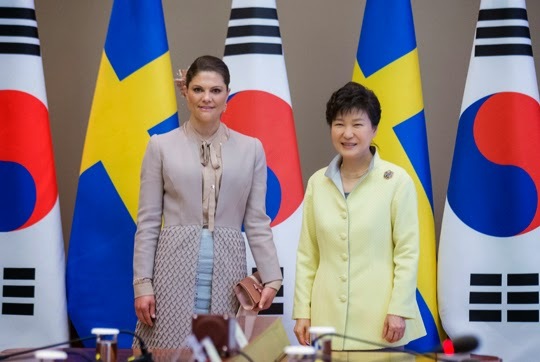 Moments of history Crown Princess Victoria paid a three day visit to South Korea in the week and met with the country's president, Park Geun-hye. The two posed for an historic photograph which the Swedish Royal House shared on its official Facebook page. King Harald V of Norway came face to face with history in the week when he unveiled new portraits of the three kings who have ruled his country since the monarchy was set up in its current form in 1905. The king was pictured smiling at the portraits of himself, Olav V and Haakon VII on a post on the official Norwegian Royal Family Facebook page. In days of yore it was called the royal confinement. Queens, princesses and duchesses disappeared from view a few weeks before the birth of their longed for heirs and went into seclusion in darkened rooms in palaces to wait for the arrival of a prince or princess. Now it's called maternity leave and it's more about getting a few weeks rest before the nursery expands. And today was the day that the Duchess of Cambridge clocked off the royal rota ahead of the birth of her second child. The Duchess of Cambridge has carried out her last public engagements before the birth of royal baby number two. 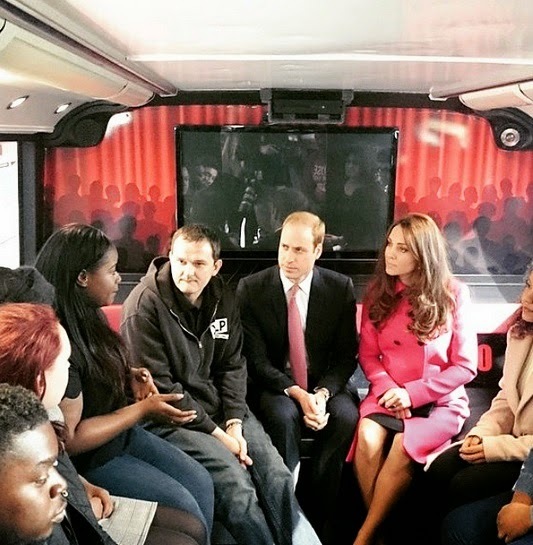 Kate, along with William, was in London visiting charities that help young people. It was a busy day for the duchess with three different engagements but she smiled throughout even if the bump looked big and the mummy to be looked a little bit tired. Kate will now rest at home in preparation for the arrival of their new prince or princess. Here are some of the highlights of Kate's last public appearance before baby - in pictures. 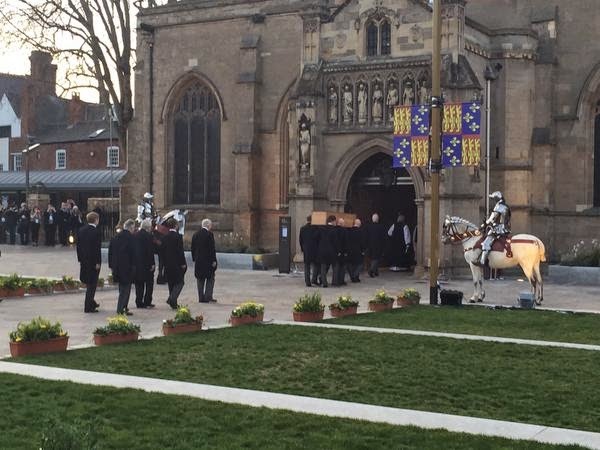 Richard III, King of England, has been reburied in Leicester Cathedral in a solemn ceremony attended by the Countess of Wessex and the Duke and Duchess of Gloucester. The king's remains, found beneath a car park in Leicester in 2012, were reinterred in an oak coffin and will lie beneath a marble tomb. Almost 530 years after his death at the Battle of Bosworth, this king has been given a monarch's burial at last. The king's remains were identified through DNA testing led by the University of Leicester. On March 22nd his coffin was taken from the college to Bosworth Field and other places of significance to the king before it was handed into the care of Leicester Cathedral. Tens of thousands queued to file past the casket and today the king was reinterred in the presence of royalty. 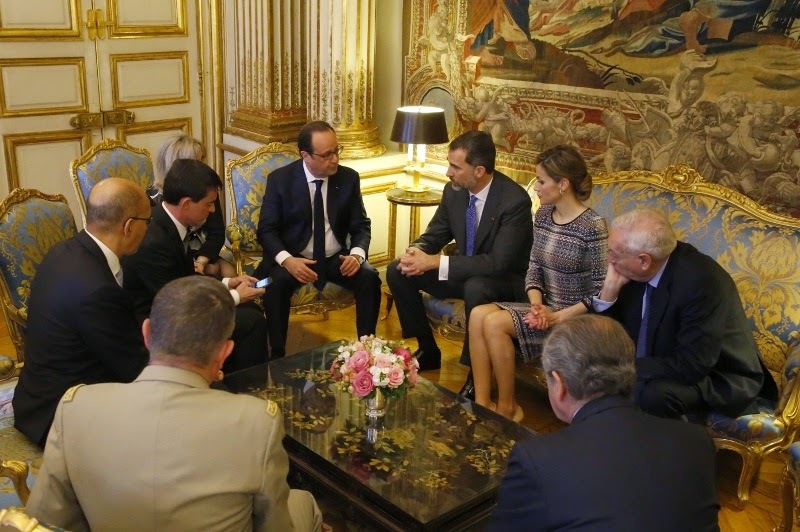 King Felipe and Queen Letizia of Spain left Paris in the late afternoon of March 24th 2015 mourning with their fellow countrymen and women. The royals had arrived just hours earlier at the start of what was to be a three day State Visit. But within minutes of their arrival they learned of the plane crash in the Alps which had claimed 150 lives. King Felipe announced not long afterwards that the State Visit had been cancelled. Flight MU 9525, operated by Germanwings, had been travelling between Barcelona and Dusseldorf. It came down in the Alps around 11am local time. Felipe and Letizia had left Madrid just hours earlier with a full ceremonial farewell but by the time they touched down in the French capital news of the disaster was coming through. Soon afterwards, the king expressed his condolences to those affected. He's a star. Richard III might have spent half a millennium as a pantomime villain with no tomb but suddenly everyone loves him. Around 70,000 people turned out to see his funeral procession in Leicestershire on Sunday and on the first day that Leicester Cathedral allowed people in to see his coffin over 5000 queued - some for up to four hours. Doors open soon for day two and already hundreds are waiting in Leicester for a glimpse. It's been a busy week for the royals with state visits and traditional trips all dominating the regal headlines. And there were lots of great images too. To round the week up, here are some of the highlights from the images and messages shared on the official social media accounts of Europe's royal houses - it's royals on social media time. The Duke of Cambridge attended one of the Queen's audiences for the first time in the week. The duke wanted to learn first hand some of the tricks of the trade and his granny was only too pleased to lend a helping hand. Images were shared on the British Monarchy Twitter account and retweeted by Kensington Palace. He died in 1485 and was buried hastily after his body was humiliatingly trailed from the site of the battle where he had been killed. His tomb was lost for over 500 years. And when he was finally found, there was much talk about his bones being discovered beneath a car park. But today Richard III, King of England, began his final journey and it was a funeral procession fit for a king. 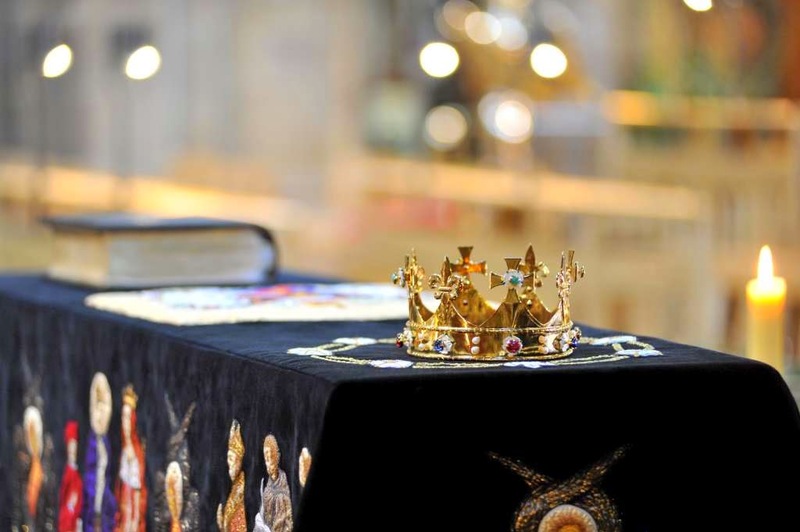 Richard III now lies in state in Leicester Cathedral where, for the next two days, people from around the world will have the chance to file past his coffin and pay their respects to a man better known for hundreds of years as the villain created by Shakespeare. But even before his remains left the University of Leicester this morning his whole reputation has been reappraised and refined. Richard III isn't just being reburied, he is being rethought. It's been a truly historic day as the funeral cortege of Richard III, King of England passed through Leicestershire on his final journey. 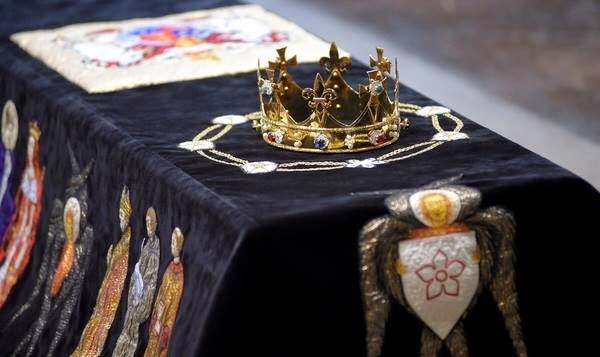 The king's remains were found in Leicester city centre in 2012 and confirmed as his in 2013. He will be reburied in Leicester Cathedral on March 26th. The day was emotional, exciting and extraordinary. 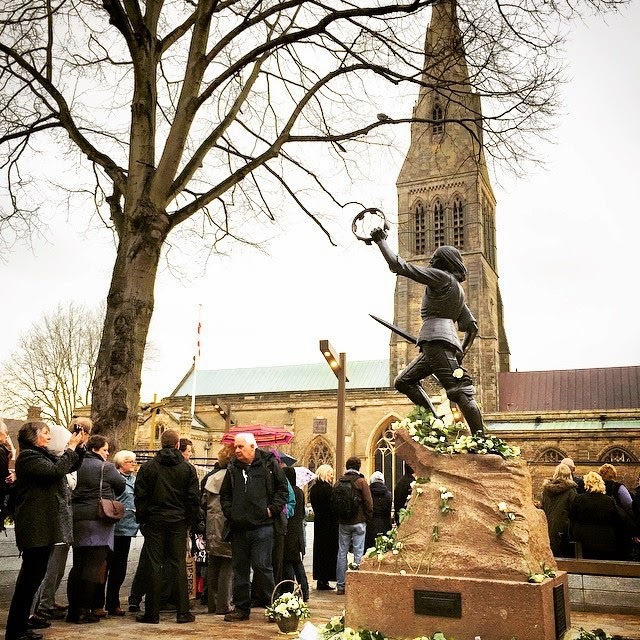 From the departure from the University of Leicester to the moving moment when his coffin was brought to Bosworth Field, the place where he lost his crown and his life, to the last journey through the city centre where his cortege was showered in white roses it was dignified and very regal. Here are some of the highlights - in photos. It may well be the last time we see her before she has baby number two and for one of her final outings as a mama in waiting, queen in waiting Kate of Cambridge went for spots. 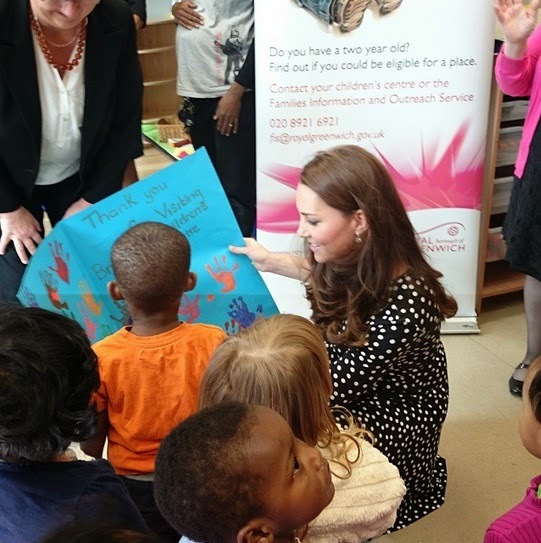 The duchess visited Brookhill Children's Centre in Woolwich to learn more about the work of Homestart. And as she settled down to chat to mums and babies, the soon to be double mummy looked in her element. The Duchess of Cambridge chose a black and white spotty dress from ASOS for her latest appearance. It costs £35 and, after ten days of maternity recycling, shows that Kate is making like a lot of mummies and just making do with what was already in the wardrobe or buying frugally when the second bump made its appearance. She spent several hours at the centre hearing about the charity's work to build confidence and improve the lives of children. The Duchess of Cambridge headed to Woolwich on March 18th 2015 for what could be one of her last public appearances before the birth of her second child. 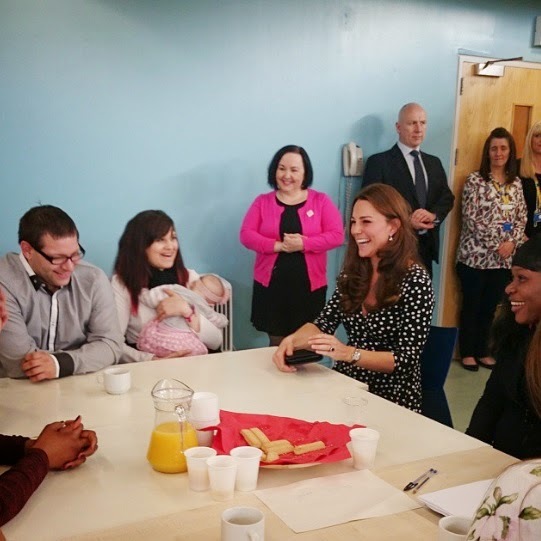 Kate, making her sixth appearance in ten days, spent several hours at Brookhill Children's Centre learning about the work of Homestart. The duchess met parents, volunteers, charity workers and children during her visit to Brookhill. It may well be the last time we see Kate before she has baby number two - here are some of the best pictures. 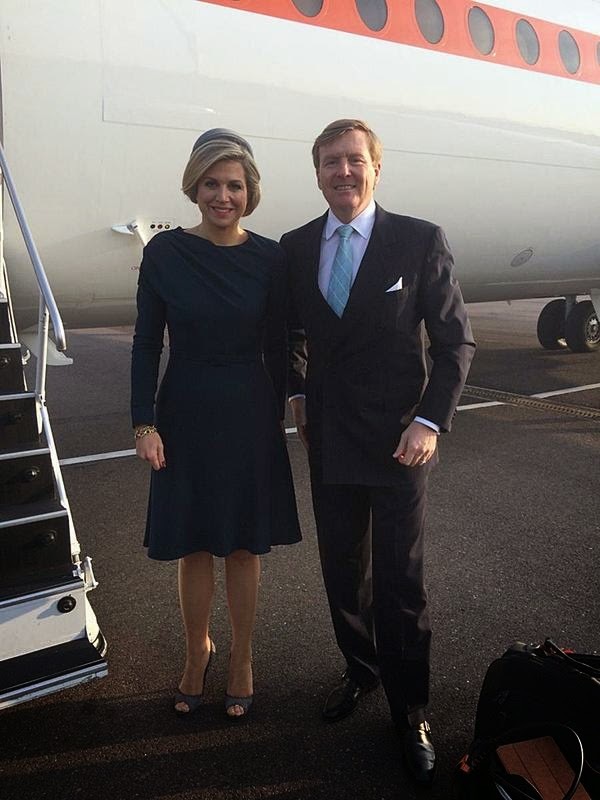 The start of the Dutch State Visit to Denmark began with lots of smiles and hugs. And it didn't take the sharpest eye to see that the kings, queen, princes and princesses involved in the event were rather in tune when it came to selecting outfits. From the muted greys and beiges on display at the official welcome to the symphony of blues and whites that made the gala dinner truly glitter, everyone matched. But today things went one step further. As Queen Maxima and Crown Princess Mary stepped out for a visit to Samso, these two royal women were rocking one regal look.